Welcome to Little Lambs Early Learning Center! 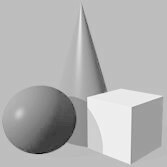 Thank you for visiting our program website. 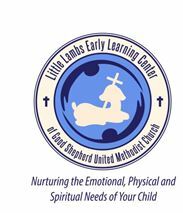 Little Lambs Early Learning Center is an early childhood ministry of Good Shepherd United Methodist Church.On this site you can explore more information about our program philosophy, location information, classroom lesson plans, our center newsletter, and monthly menu. If you need additional information, please feel free to contact us at 615-265-8193. If interested in taking a tour of our facility and enrolling your child(ren), you can fill out a tour request and be put on the waiting list on the tabs above. As a ministry, our mission is to nurture the emotional, physical and spiritual needs of all children we serve. This will be achieved through a welcoming environment, excellent supervision, developmentally appropriate activities and pleasing interactions. We will aim to teach the whole child and provide children, families and employees with the tools needed for future success. We will strive to offer opportunities for parents to work and engage with their children and facilitate the growth and training of those who teach the children.